The Bailey Company takes safety very seriously. Forklifts are heavy machinery with the potential to cause serious injury and loss of life if improperly operated, so it is imperative that all forklift operators and managers receive regular, certified training. 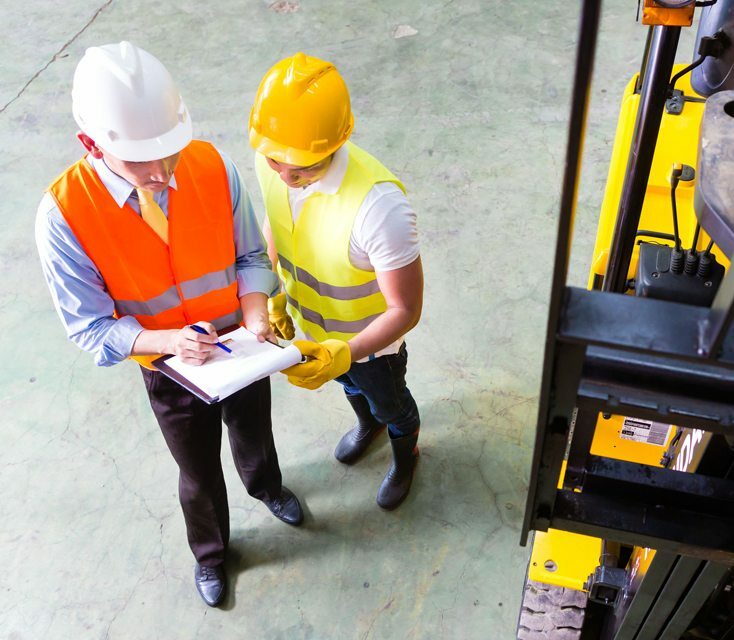 While we believe that creating a safe work environment is reason enough to provide training for your forklift operators, it can also save your business from the productivity and financial costs of workplace accidents. Oh, and it is also a legal requirement. Per OSHA (Occupational Safety and Health Administration), it is a violation of Federal law for anyone under 18 years of age to operate a forklift, or for anyone over 18 years of age who is not properly trained and certified to do so. We offer two training classes: a Move Safe Operator Training class that will certify your lift truck operators on the equipment they will be using, and a Train the Trainer class that will provide your in-house trainers with the necessary knowledge to competently and safely train your operators. We can provide the Move Safe Operator Training class at your facility or ours, but each operator must be trained on the specific type of equipment that they will be using. Additionally, the Train the Trainer class is only valid if completed at the facility at which your trainer will be training your operators. Trainers and operators, note that your certification is site specific. If you move to a different company or location, you must complete another Train the Trainer or Move Safe Operator Training for your new work site. Move Safe Operator Training certifies you for three years. After three years, you must complete the class again in order to be certified. Additionally, we recommend that you complete a Train the Trainer at least every three years, if not annually, in order to stay abreast of changing forklift technology and legal requirements. If you are still hesitating to get in touch with us, have a look at what can happen when your employees are not properly trained. Give us a call at 844-468-0355 or contact us Our certified trainers are standing by.